A +, or maybe A ++? Unless we reach deeper into our pockets and decide on A +++? Only which equipment labeled consumes less electricity? Such doubts are soon to leave us. In two years' time, new energy efficiency labels will appear in the European Union's stores. Apparently, it will make life easier for buyers. A few years ago the choice of the least-charging refrigerator or washing machine was not a problem. Everything was clear. If the letter (from A to G) was higher in the alphabet, it means that the equipment needs less energy to function. Then (at the end of 2010) the old record was replaced with a new one that introduced three energy classes: A +, A ++ and A +++. So buyers wanting to choose the product that consumes the least electricity had to look first on the labels of the first letter of the alphabet. Later, the more pluses - the better, but also the most expensive. One moment only the pros on the labels. Maybe this energetic distinction even worked, but only for a time. Now, looking for a television set or a dryer, we will not find those with the letters B and C, not to mention further. All, and certainly the vast majority of products, is marked with the letter A. Their energy labels distinguish only the pros, from which the customers are already spinning around in their heads. Meanwhile, analyzes indicate that from 10 to even 25 percent. products on the market is poorly marked for energy efficiency. This causes specific losses. According to European officials, an appropriate change in energy labeling would save 2030 energy corresponding to the annual consumption in Hungary - at 38 TWh. New energy efficiency labels are ready. The European Commission believes that EU energy labeling has been working since the very introduction, in 1995. Over the years, consumers have become so used to presenting energy balance of individual products so much that 85 percent. European customers should take this information into account when shopping. Only that once the markings were clear and did not raise doubts - now, in the era of ubiquitous A +, it's a bit different. And it's probably time to change. In January 2019, among a few other decisions regarding electricity consuming products, revised rules for their labeling were adopted. New energy efficiency labels are expected to appear in stores in two years - in March 2021. At the beginning, we find them at TVs, monitors, refrigerators, washing machines, dishwashers, dryers and lighting products. The list of products, where modified energy efficiency labels will go, is to be gradually increased. The pluses disappear, that is, the more readable scale. Energy efficiency labels after the new one will no longer have any pluses. The rule of letters returns from A to G. However, today, those with the highest energy class, ie products marked as A +++, have the letter "C" in the new designation. For those with A only one plus, that is currently the most energy-intensive, the letters "F" and "G" will be reserved. And what about the first two letters in the new designation: A and B? For now, they will not be intended for any products. They are to wait for better times when there will be even more energy-efficient household appliances and electronics products on the market. The EPREL product database is also to be created. New energy efficiency labels are on the one hand a tribute to customers, but also more attention to the producers themselves. They will have to register your products in a special EPREL database. There, you will find detailed technical documentation for a given product. The new regulations will strengthen the position of consumers and reward innovations, ensuring market development in line with the goals of Europe's sustainable development. But the products should also be ranked according to their level or the possibility of repair and durability, especially smartphones and computers that tend to perish and go out of use too easily - argues the sense of establishing such a base Stephane Arditi from the European Environmental Bureau . Scan and find out for yourself. 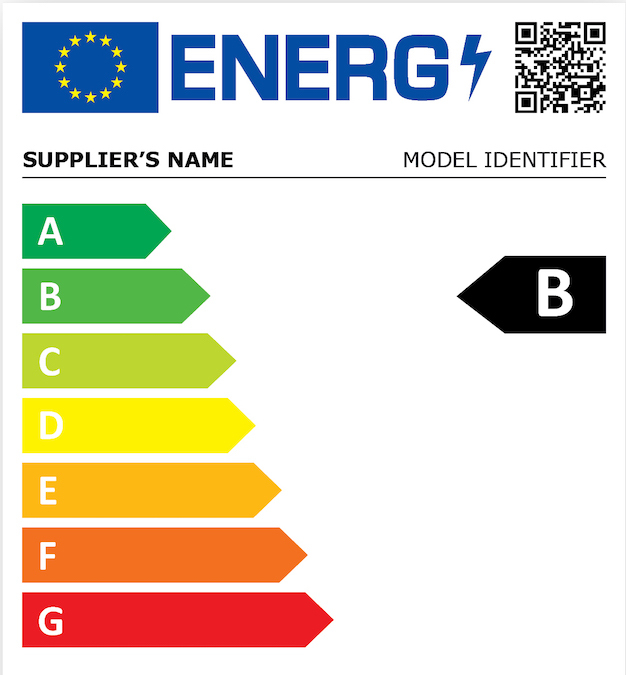 In three years - from March 2022, energy efficiency labels should be marked with a QR code. Its scanning will allow the customer to enter the EPREL database and check the technical specification of the selected equipment. Preparations that allow customers to compare products with no problem, just due to the necessary financial outlays, are to be prepared. Not only when buying, but also during their maintenance. The labels will not only be about energy. New energy efficiency labels are designed to inform customers not only about electricity consumption. 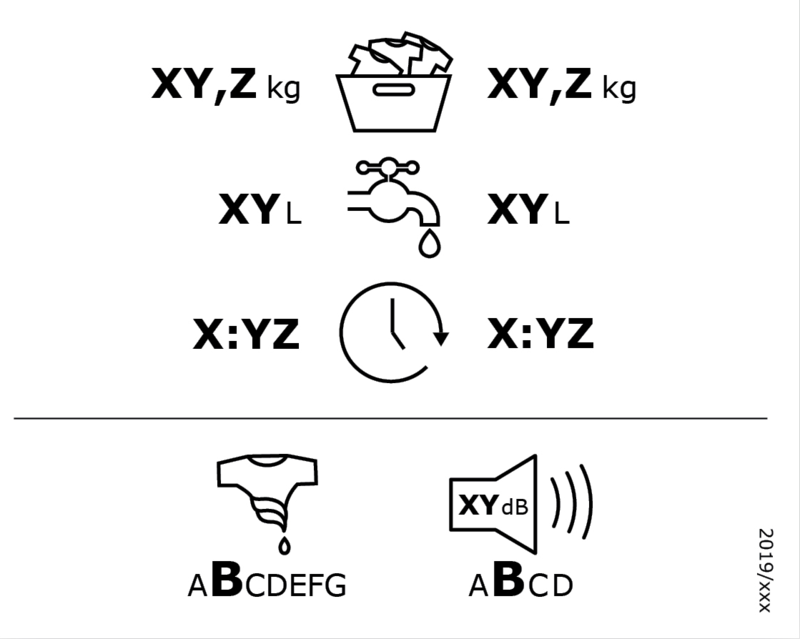 We will also find there information on noise, storage capacities and the amount of water needed for a particular washing machine for one washing cycle. This is to help in the selection of this product, the purchase of which will have a chance to turn in at a meaningful time.